It’s about the culture. It’s about the people. And yes, the technology here is state-of-the-art, but it’s not about tech. Tech is an enabler. And as a CIO, my job is to enable again the culture and that patient-centered care through all the tools available to our caregivers. Walnut Hill didn’t just want a CIO. What they were recruiting was somebody that, yes, understood the technology and understood what IT is in healthcare, but also understood where the patient and, again, the human experience plays into that. I get to step out of my technology comfort zone and get into aspects and dimensions that sometimes CIOs can’t often find themselves in very easily. And for me, that’s fun. I get to put on a different hat, think of it from a business perspective and generate ROI beyond helping to achieve Meaningful Use, because now we have meaningful experience. I’m side by side making these decisions with clinicians and saying, ‘here’s how your patients are going to benefit,’ and they’re like, ‘Great! I agree with that. This is what we can do.’ Or better yet, they provide feedback and say, ‘have you thought about this?’ So then I become a collaborator and I become an integrator. I don’t expect a clinician to be a great technologist. I expect the clinician to be a good clinician, and it’s your job as a technologist to sit down with them, to understand their world, to partner with them side-by-side and be a collaborator at figuring out what I can and can’t do, and work through it. That’s the role of a CIO. It’s not to shove technology down someone’s throat. Gamble: Hi Aaron, thank you so much for taking some time to speak with us today. Miri: Thank you for the opportunity. Gamble: I wanted to get some information about Walnut Hill Medical Center, first in terms of bed size, but then a little bit of history about the organization. Miri: Absolutely, happy to help. When we talk about bed size, we were founded on the premise that the patient is first, and that from patient care delivery to technology to processes, procedures and even the people that we select to come to Walnut Hill, it’s about patient-centered care. Walnut Hill opened its doors in April 2014, and immediately Forbes Magazine coined it the hospital Steve Jobs would have built. It’s a 100-bed organization. We do every specialty under the sun except for deliver babies at this time. Our physicians are world renowned. It is amazing the experience that the patient has from the minute they walk into our front doors and are greeted by our valet, all the way through discharge and follow ups and so forth. Again, it’s about the patient. When you go back to coining the phrase, ‘The hospital that Steve Jobs would have built,’ it’s about the culture. It’s about the people. And yes, the technology here is state-of-the-art, but it’s not about tech. Tech is an enabler. And as a CIO, my job is to enable again the culture and that patient-centered care through all the tools available to our caregivers. Gamble: Right. That’s really interesting. It seems like it’s something where you’re almost like hoping to be a trendsetter with more of the focus on patient care, even in the way the rooms are designed and things like that. Miri: Absolutely. As I received the phone call to see if I had interest in coming over to Walnut Hill, I was very keen in that I wanted to join an organization that didn’t just think of it as patient experience, but it more the human experience. What is it going to be like as you come in at the time of your greatest need and make sure that we address all those needs with outstanding outcomes, with outstanding clinical processes? And so as I got to know Walnut Hill and understand what we were all about, I was gravitated toward this place. It’s beautiful in that, again our service lines, our leadership, our physician leadership, all are in sync when it comes to the patient, to the degree that we don’t hold back when it comes to giving the best we can to the patients. Gamble: As far as how it was founded and is managed, I know the physicians have played a key role. Is that still the way that it’s structured? Miri: Yes, it is. This is not a physician-owned hospital. This is a physician-managed hospital in partnership with the clinical staff and the executive leadership. The beauty of that is with everything from technology to order sets to processes to dealing with day-to-day issues, you’ve got a multidiscipline team approach to it. And that collaborative has generated so much positive ROI, because again it gets right down to the crux of how do we make sure that Patient Aaron comes in here and has an experience like none other? To your question, the leadership sets the tone for how the organization responds, and given that leadership uses a multidisciplinary approach, you then see the front line staff do the same thing in the morning huddles or their rounding or in the approaches how we deal with patient care and customer service. We utilize the 5 and 15 rule here. So at 15 feet you look up in the eyes, and at 5 feet you say, ‘good morning’ or ‘hello, how are you.’ Everybody here approaches it as a team for the patient. Gamble: And then as far as your role of making technology the catalyst of the experience, can you talk a little bit about what this means? Miri: Absolutely. 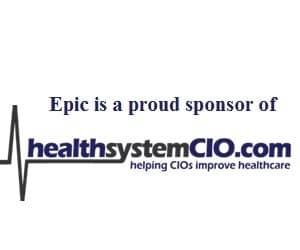 Traditionally, you would look at the CIO role as being this leader is going to help us navigate the very complex topics of ICD-10, Meaningful Use, HIPAA, whatever. And of course, that’s always the important thing, and especially in healthcare, you’ve got to understand those dimensions and being able to navigate appropriately and succinctly from a business as well as a clinical perspective. But Walnut Hill didn’t just want a CIO. What they were recruiting was somebody that, yes, understood the technology and understood what IT is in healthcare, but also understood where the patient and, again, the human experience plays into that. What intrigued me the most about Walnut Hill, beyond our founding principles and our guiding vision and our leadership was the fact that each of the C-suite, while we might hold the title of CIO or CFO or CQO or CNO, but we wear the other hat of patient advocate. We were the other hat of human advocate. What can we do for the patient? I found myself in phenomenal discussions around patient experience and helping to change our culture. We have a principle we call ‘We Care.’ And We Care literally is the galvanizing force for what the culture drives itself toward in making sure that again we put the patient first; that we always identify and address issues that could inhibit the patient, and that we address them as a team — those sorts of collaborative approaches. And so I get to step out of my technology comfort zone and get into aspects and dimensions that sometimes CIOs can’t often find themselves in very easily. And for me, that’s fun. I get to put on a different hat, think of it from a business perspective and generate ROI beyond helping to achieve Meaningful Use, because now we have meaningful experience. Gamble: You’re situated in Dallas. Are you in the city or are you in the outskirts of the city? Miri: No, we’re actually in the city. We are in Dallas County. We are in a very booming part of town, so you see a lot of businesses and a lot of foot traffic. One chalks it up to people have a good experience or word of mouth — people want to come here and repeat. But number 2, Dallas proper by itself is growing at an unprecedented rate, so we’re seeing the benefits of both aspects. Gamble: Right, and it’s not like you’re in an area where there aren’t other hospitals, so I imagine that really has to be a guiding philosophy making this human experience better and using that to build your own base. Miri: That’s exactly right. I have to give a lot of credit to our physician leadership and our physicians in general. The physicians that are again selected and credentialed to participate and work at Walnut Hill all put the patient first. And as I talk to these clinicians and these physicians across the service lines, every one of them says, ‘here’s what would benefit my patients. Here’s what they’ve been asking for. Here’s what I’ve been unable to provide for them at other facilities.’ Nine times out of 10, it’s simply caring and it’s simply believing in the patient saying, ‘I got you. I got your back. Here’s how I’m going to help you.’ And trusting that everybody from the valet all the way through the discharge process and when they’re sent home with their meds or their scripts — they’re all in it together for the patient. It makes my job easy as CIO because here I’ve got to bring technologies together. I’ve got to have an EMR talk to a separate EMR outside of this organization. I’ve got to do all these different things that getting buy-in at a very traditional, very locked in, siloed mentality, it would be very difficult. You have to gain a lot of buy-in for that because you’re trying to always provide and return the value to the patients. ‘Physician Jones, here’s why this would be important.’ At Walnut Hill, I’m side by side making these decisions with clinicians and saying, ‘here’s how your patients are going to benefit,’ and they’re like, ‘Great! I agree with that. This is what we can do.’ Or better yet, they provide feedback and say, ‘have you thought about this?’ So then I become a collaborator and I become an integrator. So you go from Chief Information Officer to Chief Integration Officer and Innovation Officer, which to me, is where the CIO role is going. Gamble: Right. Is there such thing now as having too much input, or is there a way that you can maybe filter that? How does that work? Because when you have so many physicians who are engaged, it’s a really great thing, but then I can imagine maybe there are challenges too with trying to get to everything. Miri: Absolutely. I give a lot of credit to my mentors of the past, one of whom is a very prominent CIO here in the area, you recently interviewed her. She used to always say, ‘You seek first to understand.’ So I always ask a lot of questions up front when I’m trying to understand the problem we’re trying to solve, and then it’s educate. And make sure you educate folks on the parameters of, here’s what you can do and here’s what can’t do, because that may be barriers with the law of privacy or security or whatnot. And then, yes, it’s to seek a consensus with leadership to make sure that physician leadership understands the perspective of, ‘Here’s what our boundaries are, what we can and can’t do.’ So as you’re working with the mass collaborative, there’s already some bumpers established up front so it’s not a free-for-all. So yes, there’s some navigation there, but given now I’ve surpassed six months in this role, I’ll take this perspective over the other where I don’t have any buy-in, or buy-in is very tough to come by, because here, I’ve got folks interested. I’ve got folks asking questions. I’ve got folks saying, ‘Can we take it to the next level? How can we take it to the next level? How can we make this patient experience something beyond what it’s ever been before?’ And that makes it fun. Gamble: I can imagine. Now, to put on the more specific CIO hat for a little bit, can you talk about the application environment as far as the EHR system in the hospital? Miri: Absolutely. When we went live, we went live with Siemens Soarian Financials and Clinicals. Siemens was purchased by Cerner, and I give a lot of credit to the EMR vendors on both sides — at Siemens and as it’s transitioned to Cerner, they’ve been excellent partners as they have gone through the acquisition and change mode. A lot of that from our perspective had to change as we’re dealing now with Cerner leadership and we’re dealing with Cerner folks that maybe have transitioned from Siemens world. We have gone through a bit of a churn as well and having to work out processes and kinks and those day-to-day things. So we use Soarian end-to-end. We went live fully with CPOE. We’ve gone live throughout the house. We’re basically a paperless environment. I’ve got mobile devices, iPads. I’ve got a full VMware client environment were people really can embrace a bring-your-own-device mentality. We have integrated television sets in every single room where the patient can interact with their medical record. A nurse can prescribe videos to the patient to watch, for example, an upcoming cath procedure. We have an environment here where tech isn’t just a tool that sits there while you’re charting or you’re placing orders or you’re writing a discharge note. You have technology that is actually functionally interacting by providing education, providing active surveillance and feedback to the patient and to the caregiver were tech now suddenly becomes part of the DNA of what makes this place tick. I was a little bit blessed in walking into an environment where it’s totally brand-new. I think a lot of CIOs would give their right arm for that because you’re often inheriting some very old infrastructure you’re having to modernize. So putting that aside now, I was able to focus on interfacing; on really taking the technology and being innovative with it, and so some of the things we’re doing now with wearables and mobile devices and really importing in the disparate data sets into the EMR to mash it up for population health and syndromic surveillance. Those are things that sometimes it takes several years to get to other institutions, so we’re definitely pushing the fast forward button on the VCR player here. Gamble: Right, to use a reference from a couple years ago. Miri: Right, just to give some balance. Gamble: Of course. You brought up wearables and that’s interesting to me because I think that there still is definitely some hesitancy there. So can you talk about kind of how you’re approaching that? Miri: Absolutely. I think it’s a blessing that clinicians and physicians love technology, as much as it can be sometimes a head scratcher. But my physician leadership here were some very early adopters of the iWatch. That’s what really started this conversation: how can we take the data that the iWatch is generating — and FitBits and whatnot, but really, the iWatch was the galvanizing idea here — take these data sets and mash it up from things like blood pressure, your activity per day, etc. How are you doing in general — are you sitting too much? Are you very sedentary? What are you doing? What is your active lifestyle? And then what we’re doing is matching up against care plans. So for somebody that recently went through a heart procedure, maybe they are being instructed to make sure that you walk 30 minutes a day continuously for so many yards or so many feet. We are able now to take these data and say, are they actually doing this? Because before it’s just sort of a patient attesting to “Yeah, I’m doing this on the side,’ and then the clinicians have to sort of deal with, okay, is this really trustworthy or not? But now I have some data to run with it. And we’re still going to the process of figuring it out what is that sweet spot of, okay, this kind of data that skews to the left or they don’t wear the watch enough so it’s not really valid, versus they wear the watch every single day, and so we’re trying to find that sweet spot. But we have found clinicians to be very embracing of the idea that the patient is as involved in their own care plan as the clinician is, and so what can we do to educate, enable, and make sure the patient understands what they need to do to get better? Because ultimately a happy patient is a happy clinician, which is a happy hospital. So to the degree of it, what can we do for that patient to make sure? And so, it’s looking at all data sets. I think the jury is still out in general across the industry as to what qualifies and quantifies as meaningful data or statistically meaningful data? But I’ll tell you, for the hospitals like Walnut Hill that are looking at this and trying to really answer that question, the patients are going to benefit. Gamble: Yeah. It’s one of those things where at the surface, you look at it and see that you have access to information that we didn’t have before that can be integrated into a record. It’s just taking care of all those not so little details. Miri: Exactly. And those are very important details that you don’t want to miss, and so I go back to the partnership and understanding of what it is the clinicians actually need or want, and understanding truly what they’re asking for, because I don’t expect a clinician to be a great technologist. I expect the clinician to be a good clinician, and it’s your job as a technologist to sit down with them, to understand their world, to partner with them side-by-side and be a collaborator at figuring out what I can and can’t do, and work through it. That’s the role of a CIO. It’s not to shove technology down someone’s throat, but it’s to collaborate at coming towards some happy ground that benefit that the patient and I have found that even though it takes a lot of hours and a whole lot of really weird hours you undertake to make sure that you can accomplish the whole cohort of physicians, it’s worth it at the end of the day because you have complete buy-in and support.